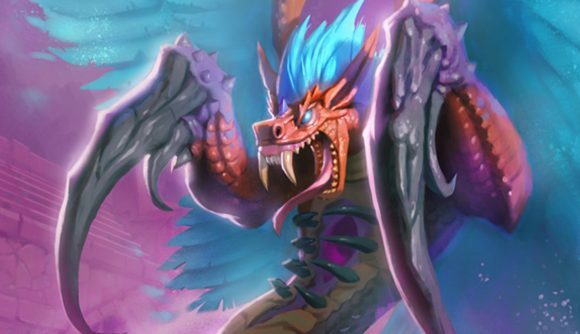 Listen up Hearthstone players – it’s time to have talk about disease prevention. I’ve been told that our own resident Hearthstone expert, Ali, has been infected with a new card back that’ll spread to everyone he plays against. I hear that the plague is spreading quickly throughout the Hearthstone player base, leaving everyone affected with that most heinous of horrors: a new card back. The Mark of Hakkar event goes live today, centred on an infectious card back. Anyone who has the card back equipped will spread it to opponents in Arena, Standard, Wild, and private games, as long as those matches are completed. If you get infected, you’ll automatically have the new back equipped to aid you in spreading it to new players. You’ll also get an achievement for your troubles. Blizzard didn’t tell us who all got the card to start this event, but it at least includes a selection of press folks. So while Ali is not the only patient zero who’s been selected here, watch out for him all the same. He might get some time to play before we send him back to the League of Legends patch note mines. It’s been a troublesome effort for Blizzard to get this event started started, and the patch has been delayed throughout the day. That’s also affected the Lunar New Year event – but it looks to be all working fine now. The Lunar New Year event will last through February 12, and you’ll get a free golden Fireworks Tech card for logging in during the duration. You’ll also have some additional quests for the vent which will award both gold and dust. If you miss the early days of achievements and those little infection goals, they’re back for at least one event. Presumably, the card back will continue to stick around well after the event is done.